At one time or another we have all complained about not enough jazz promoted on mainstream television or radio, and sadly that continues to be the case. However with the advent of the internet, there is a whole host of diverse music available to listen to, and arguably perhaps too much. Within the vast amount of music, where do you begin to discover new sounds, and how do you then continue along a similar path of discovery? This perhaps then brings us back to a requirement for a source of not just the music, but information about who and what we are listening to....perhaps what we need is more jazz on the radio? And so we come back to that thorny issue once more...or do we? If the internet provides a veritable minefield of information and music, it can sometimes be difficult to channel the search to our requirements, and that is where the 'internet radio stations' can come to our rescue. Once such station is the relatively new, The Jazz Uk that broadcasts a variety of music across three streams 24 hours a day. So for more information about the station the obvious place to start was with the man behind it, Ian Starling, owner/operator of the online jazz service. "Here I am being interviewed for a Jazz website as the owner of a Jazz radio service, yet I have to admit I haven't always enjoyed Jazz music. Perhaps it comes with age! I was born and raised in Leeds. My love of music and radio came about at the same time. I formed a love for music during the 80's and at the same time (1981) a new exciting Commercial radio station launched in Leeds (and covering much of West Yorkshire at the time) - Radio Aire. I spent many hours listening to the radio and formed a longing to be on it too. I visited the station whilst writing an article for the school magazine. I would have been 12 years old and I wanted to be a radio DJ. Another reason I came to enjoy Jazz is when I was taken to see Courtney Pine in Barnstaple a few years back. The performance was immense. The sound, the enthusiasm, sometimes just the rawness of the music - it grabbed me. The instruments were being used to the full. Therefore more jazz entered my CD collection. Initially - very melodic easy, smooth jazz - Acoustic Alchemy, Mindi Abair, Kenny G but soon more and more artists like Pat Metheny, John McLaughlin, Courtney Pine, Andy Summers, Jazzsick - more a cross of jazz and rock, I suppose. As mentioned above I saw the genres of music being played lessened. Commercial radio has contracted, but there is more out there than just 'pop' music. In this modern age it is also harder for advertisers to part with their advertising spend of what seems to be a narrow advertising market. It has been my goal to start this jazz service for sometime. 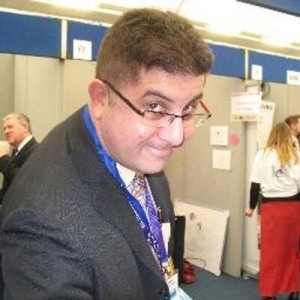 I was able to purchase a really great easy to remember domain - thejazz.co.uk. In July 2014 I started to work on getting a Jazz service launched online. I was in contact with Tony Stone, a Jazz promoter, known to many in the London area and he suggested doing something that isn't being done and separate the 20th Century and 21st Century Jazz. Therefore the BlueTrain and RedTrain names were created. In August 2014 - I started work on building databases and the streams. In January 2015 - 15/01/15 to be exact - launched with 3 streams. Since then the reaction has been phenomenal. The twitter following has increased dramatically, the facebook page is gaining interest and what is also happening is that we are being supplied with music from musicians and groups looking for airplay and that breakthrough. Now I find 'pop' music at times too loud and now listen to the music that's been sent to me. I can also announce that I am working with several people in launching the Jazz on various small scale DAB radio test transmission areas later in 2015. Jazz is very much alive and not just a "narrow" genre. 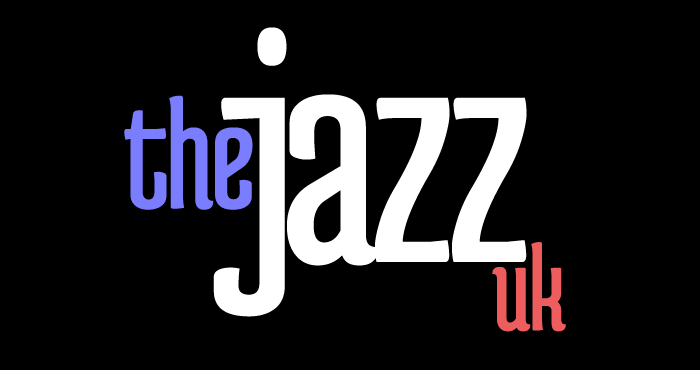 I am glad to have a hand in bringing this great music to audiences online and hopefully soon on DAB radio across the UK"
To find out more information about The Jazz Uk click on any of the links at the top of the page. Click on the Album of the Week to find out about Jazz Views recommended release.